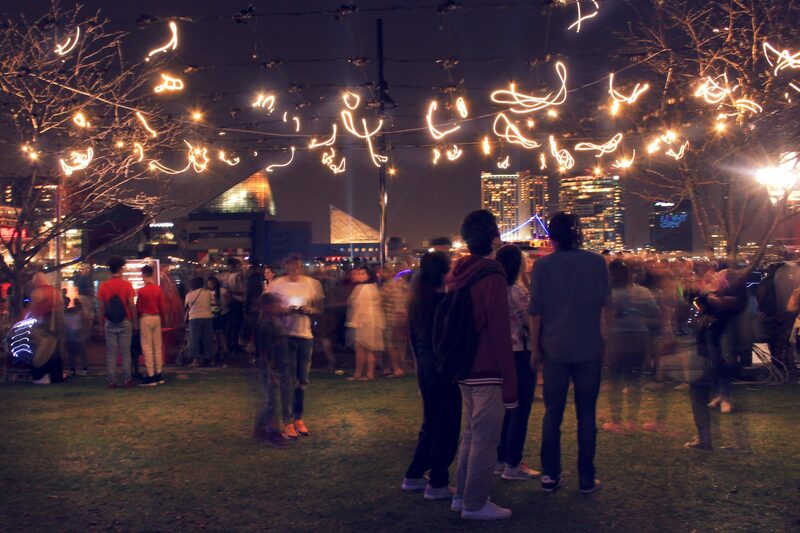 Reminiscent of fireflies on a summer night, Social Sparkles fills the air with a swarm of lights that move overhead as festivalgoers walk below. It creates a lively interaction between you, the light and others. 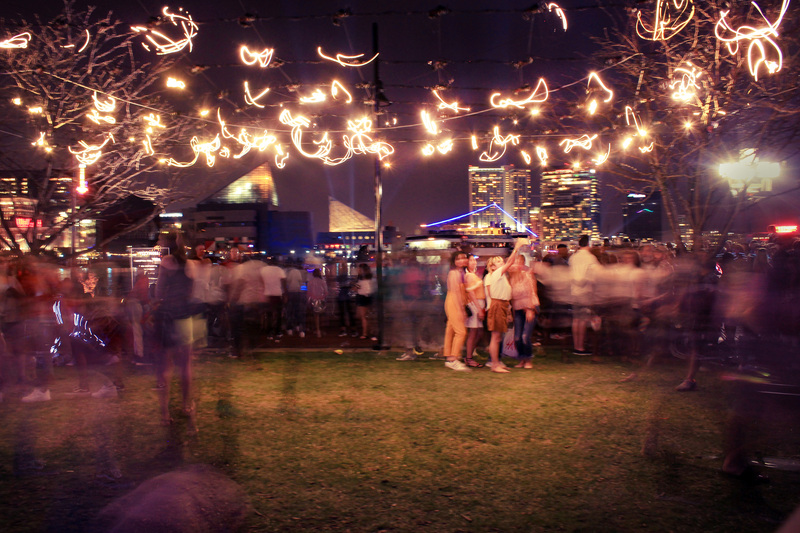 Social Sparkles is part of Light City Baltimore 2018. More info can be found here.